As you know I am a 'keep it real mom', and this is a keep it real blog....I love my family, my children are the greatest gift I've been blessed with, but adoption is hard, raising five kids is hard. But it's defiently more fun than challenge. WHY WE NEED EACH OTHER! Adopting a child is a risk, it's a leap of faith from day one...it's a HUGEHUGE journey. I never imagined how big and I'm more certain than ever we have only just begun. Not long ago I got very focused on our 'loss'. The friends that seem distant now or the ones we just don't see anymore... The family members who have just broke my heart, shocked me with their lack of interest, cruel words ect... How lonely I've felt at 'pretending'...grinning and smiling that all was well when I was really dealing with a child who has an attachment disorder and at times wears me down to the bone and how I have to reach down for every bit of strenght I have to care for my kids...one with SB, one with ADHD. How those around really don't seem to get it or care or want to get it that parenting adoptive kids IS different and we need DIFFERENT support.... Then through prayer I've relized this isn't loss, but really growth. WE NEED EACH OTHER GIRLS!!! If you read this and you wish for this...find your support group....CREATE IT!!! I'm still approaching my therapist about forming an official support group for mom's with attachment kids...and I still woke up today a little teary...but I know have two new real life friends to call on if my day gets too heavy!! Hi Myra. I too was let down by family and friends that just don't get it. I remember writing a similar post maybe a year ago. Hang in there, it does get better and finding the right kind of support is priceless. I feel like such a lame friend. Ive been so wrapped up in my own life that I have been pushing everything and everyone to the side. I mean well and plan to call back and email etc. but I never do becuase I am so consumed with my own stuff. Im just so sorry for not only not being available but also maybe not keeping it as real as I should. Ill tell you right now that I for one can join your group. It is so hard and I am one who is supportive of other adoptive moms. So here I sit in Kunming China only about 20 hours away from receiving our 5th child and am filled with all kinds of doubt. I am nautious and feel numb. I worry if I can handle a 5th let alone a baby. Im so nervous-- Im nervous and my stomach is churning as I type this. I deep down know we will be fine but I consume myself with the what ifs and my own limitations. Im not the most patient person and while my hubby luckily balances me out on that, I still struggle with the patience and the "neat freak" side of me and just not letting things go. Having an almost 14 year old son down to a 1 year old with 3 other kids inbetween and working 4 days a week freaks me out! I honestly worry Im going to screw my kids up. Like Im going to yell at them so much that they are go to hate me. 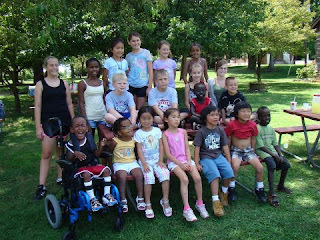 Im sooooo not perfect and am soooooo flawed and sooooooo not the patient homeschoolish mom I assume would have 5 kids. I am about as opposite of that as I can imagine. I like to work, I like to be active and away from the home and I like doing stuff. Sitting around at home with the kids is good some of the time but I find myself discontented and wanting to GO do something. I struggle with this cuz kevin is way more homebodyish and likes hanging with the kids and I struggle with this. As I type this I think-- then what am I doing getting another kid in about 20 hours-- what the heck am I doing??? But then I think about the fact that we feel called by God to do this and that He will help me do this even though I dont know I can. We are following His plan for our lives not our own and while I know it is not going to be easy, I know I will make it-- I always do-- but that does not mean I dont think what I am doing is crazy. I am so nervous I just cant think straight. I told Kev at breakfast this morinng that I am really worried I cant do this-- the lack of sleep, the juggling schedules, the 2 teen boys- the two kindergarten girls and a baby-- plus work-- I just am not sure. Kev is such a rock and he assured me that WE would handle this fine-- together. I appreciate that support but I am still not sold. Anyway, so sorry to ramble but your post hit me hard. Pray for me-- 20 hours I will be a mom of 5-- I am so freaking nervous as I sit here in my hotel room and type this. Im thinking this post is so honest and I love your honesty that I think I might post this on my blog. Not sure yet but maybe this is something that needs to be out there and spoke about more often. Thanks for your honesty friend. I will pray for you!! Please pray for us too!! I came over here from Christy's blog and I am so glad I did. I feel exactly the same way ALOT of the time. 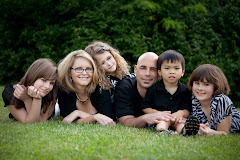 We have 6 kids the youngest are adopted from China. My 5 year old, first adopted, has alot of attachment issues and at times I feel so alone. You just can't expect others to understand when they have not experienced it. In all honesty if I had not, I would just think I was exaggerating her behavior, yet you know I'm not. I think the daily living of loving a child so much yet being so frustrated and helpless takes its toll. Found you through RQ. Great and honest post. Thank you for that. Lots to chew on for me personally. I guess I need at least one adoptive family in my life locally before I can start a group. LOL! Don't even have that right now, but I have found lots of awesome support on the web. And I'm grateful. Anyways, nice to meet you. I'll be happy to follow along in your future posts. Thank you for your honesty and sharing your feelings completely. I am an adopting mom in the process of a first time adoption of a 5 year old boy. I literally have NO IDEA what to expect. Reading stories from moms like you helps me to see various aspects of what could happen and helps me understand that whatever I do experience when he gets here, will likely be completely normal. Your mention of "attachment children" is causing me to research and find out exactly what that is... more education... that's a good thing. I will keep you in my prayers as you continue your journey and I basically begin mine, still waiting for LOA. Thank you again for sharing your pain, sadness, happiness and wisdom.